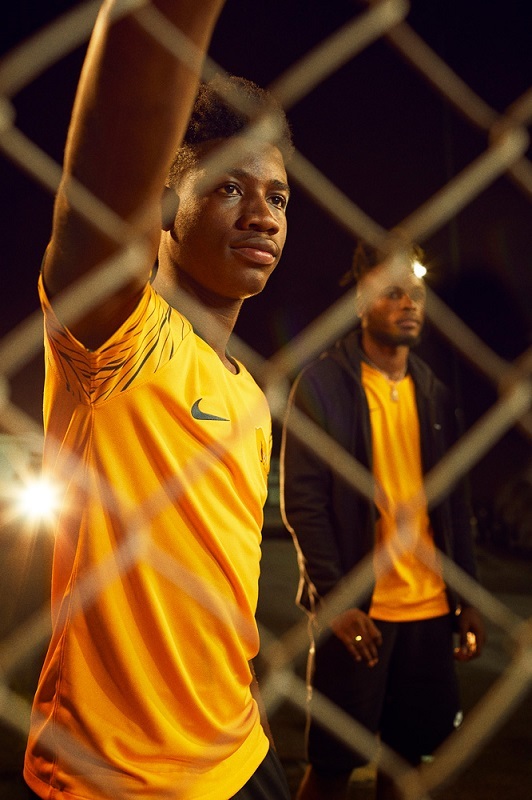 Nike has dropped the Australia 2018 FIFA World Cup home and away kits. 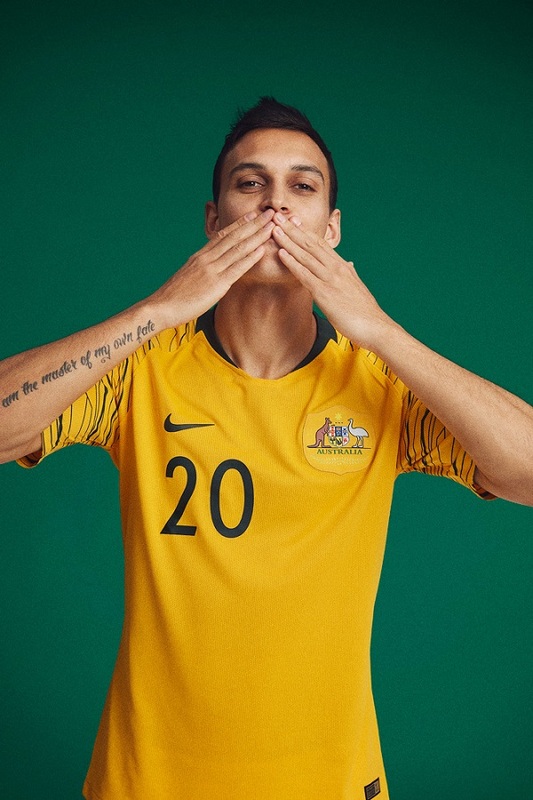 The new shirts will be worn by the Socceroos and all of Football Federation Australia’s national teams during the 2018/19 international soccer calendar. 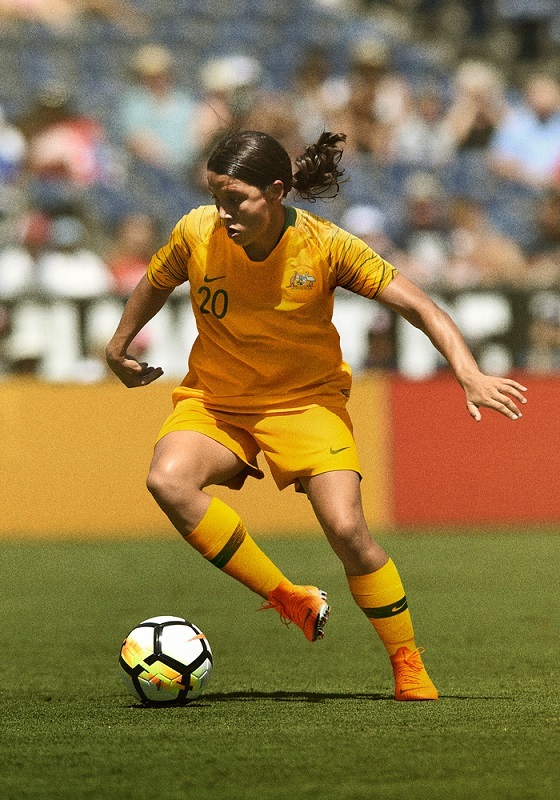 Both will be debuted by the Australian senior women’s national team during the AFC Asian Women’s Cup starting this weekend. 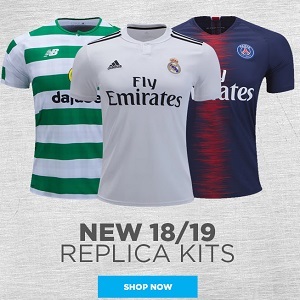 The new jerseys will be on sale at World Soccer Shop, UK Soccer Shop, Lovell Soccer, Pro:Direct Soccer, Subside Sports and Kitbag. 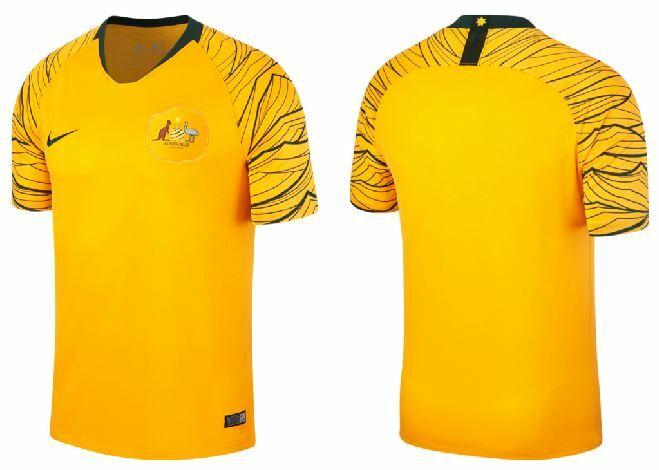 According to Nike: November 16, 2005, is a treasured date in Australian football history. 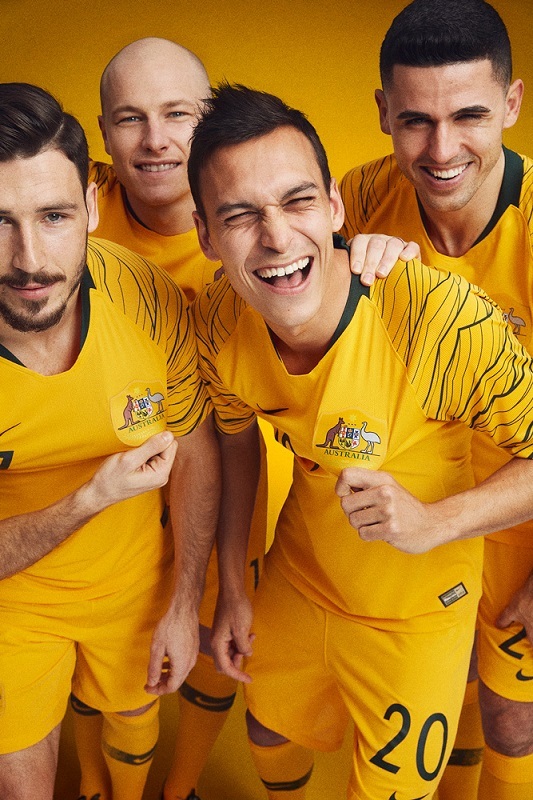 On that day, the Socceroos overcame unlikely odds to qualify for 2006’s FIFA World Cup in Germany. 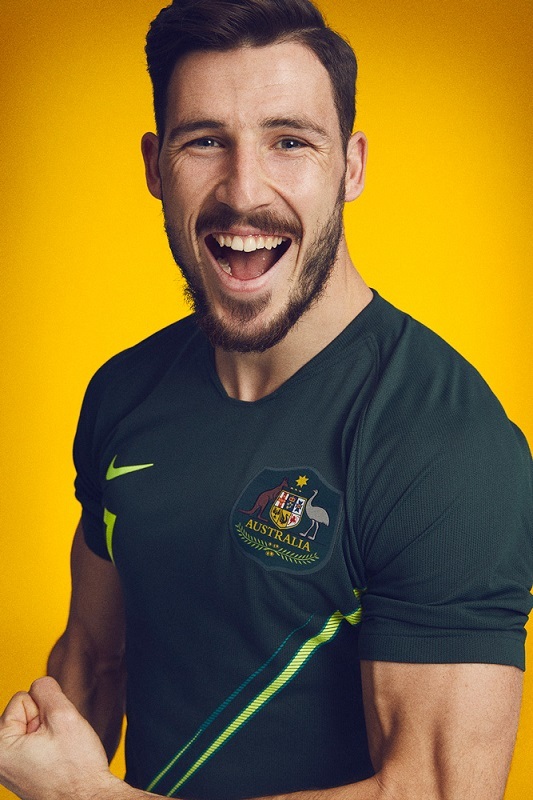 The federation had not appeared in a major international competition in 32 years, and the victory is still viewed as a major turning point for the sport down under. 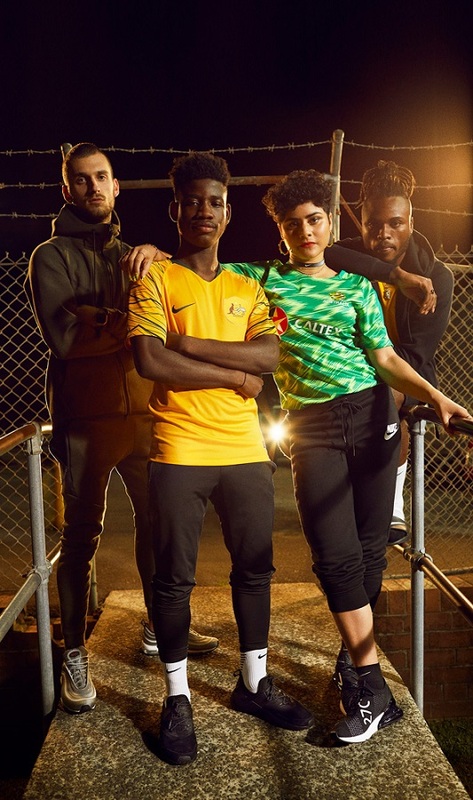 Gold from top to bottom, the Australian 2018 FIFA World CUp home kit is a significant change from the traditional combination of a gold shirt with green shorts, and a vibrant call to action for the national side’s new talent as it heads to Russia. 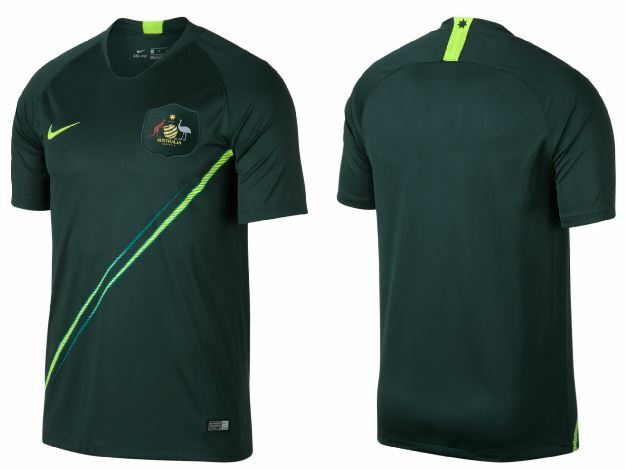 “Green and gold are the colors of the Australian national team, so we wanted to celebrate that directly with a green away kit. The sharp graphic on the away shirt is a reference to the sharp points on the kit worn on November 16, 2005,” says Hoppins.